"Like many Albertans, we talk about oil prices much like we talk about weather. And in both cases, we're used to change." 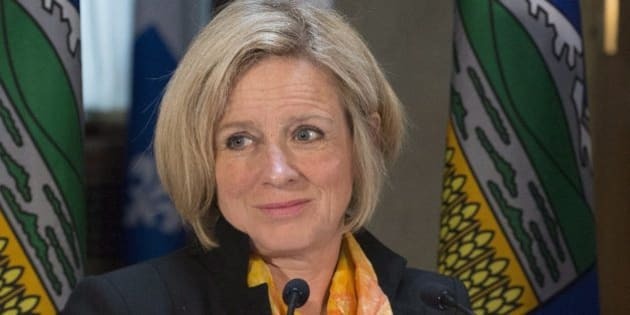 CALGARY - Alberta Premier Rachel Notley downplayed concerns Tuesday that a lifting of Iranian sanctions would harm the province's energy sector, though experts warned the Islamic republic's nuclear agreement could result in an increase in global oil supply, thereby pushing back any recovery. The historic deal reached between Iran and six world powers has opened the possibility that Iranian oil could again be flowing freely on world markets after increased sanctions in 2012 cut a million barrels a day from the country's exports. Notley said it's possible the lifting of sanctions for Iran could have "a bit of a suppressing effect on oil prices for a period of time." "Like many Albertans, we talk about oil prices much like we talk about weather. And in both cases, we're used to change," she said in a teleconference call from Quebec City, where she met earlier with Premier Philippe Couillard. "Alberta's a province that has been built on dynamic commodity prices and we've seen oil go up, we've seen oil go down and throughout it all, we've seen the resilience of our economic infrastructure." But Laura Lau, senior portfolio manager at Brompton Funds, said the deal could cause oil companies to scale back investment plans. "It's definitely not good," said Lau. "I think it's difficult for any North American (oil producer), whether it be Canadian or U.S., and I think they're going to have to rethink their capital spending programs and their production growth." Lau said she doesn't expect a significant drop in oil prices because the Iran deal had already been priced into the market, and Iranian oil won't hit global markets until at least early next year. But she said with Iran holding millions of barrels of oil ready to be shipped, and upwards of 500,000 barrels a day of production ready to start up, projections are already showing slower oil price increases. Iran, which holds the world's fourth-largest proven oil reserves and second-largest proven gas reserves, could also ramp up production further with increased capital investments, Lau added. Aston Hill Financial portfolio manager John Kim said the short-term effects of potential Iranian oil exports weren't a great threat to the Alberta oilpatch. "This is a 93 million barrel a day global market, so another 400,000 is half a per cent, so it's not like it's a big number," Kim said. "But it just doesn't help the cause." He said Saudi Arabia, which had record June production, is greater cause for concern. "I think the bigger concern for people is that Saudi production seems to keep going up all the time," said Kim. "It doesn't seem to want to come down or even stabilize." Notley said it's too soon to say how the Iran deal could affect Alberta's efforts to sell more of its oil to lucrative markets abroad, particularly in Asia. "A lot of things ... are going to happen internationally that have impacts on the price of oil, both good and bad, but we know generally speaking that market access has to improve," she said. At a local funding announcement in Toronto, federal Finance Minister Joe Oliver declined to speculate how the Iranian deal would affect oil prices, but said he was monitoring the market. "We're dealing with a global energy market and. as you know, the price of oil is affected by supply and demand," Oliver said. "As a net exporter of energy, particularly oil, we are impacted by that, although the impact is felt unevenly across the country." The nuclear deal with Iran announced Tuesday was negotiated by the U.S., Britain, Germany, France, China and Russia. In a statement from Ottawa, Foreign Affairs Minister Rob Nicholson said Canada appreciates efforts to reach the agreement, but said that Iran "continues to be a significant threat to international peace and security" and that Canada will judge Iran by its actions, not its words.